Our last stop was to tour the siege tunnels; then we drove down from the rock and through Spanish customs. 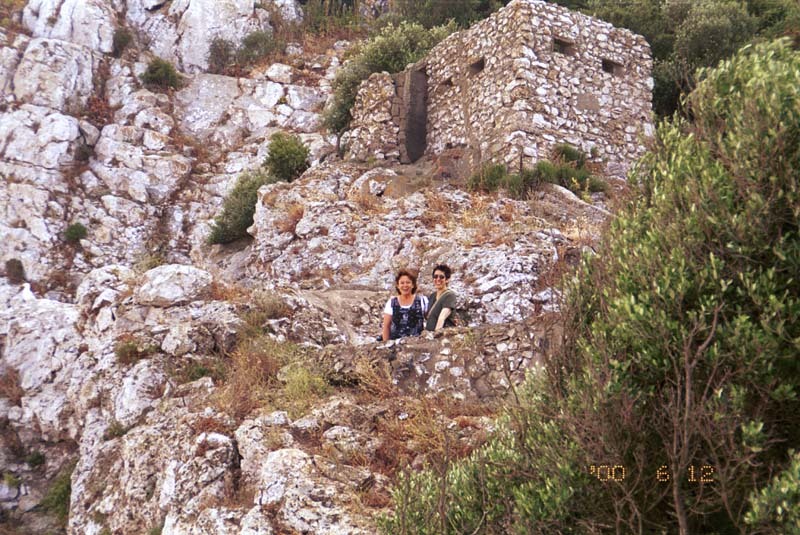 Kay and Lynne are by the entrance to the siege tunnels. The entrance is the box-like building behind them. The tunnels were dug in the Great Siege of 1779 - 1783. They are long, cool, and were dug by hand and with gunpowder and allowed cannons to fire down from the shear cliffs onto the Spanish and French. We drove by these apartments as we left the Rock. 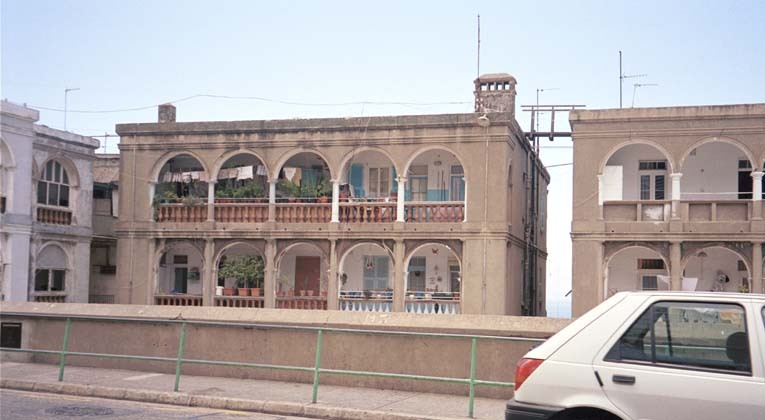 Note the Moorish arches and that walkway between the roofs of the two buildings. 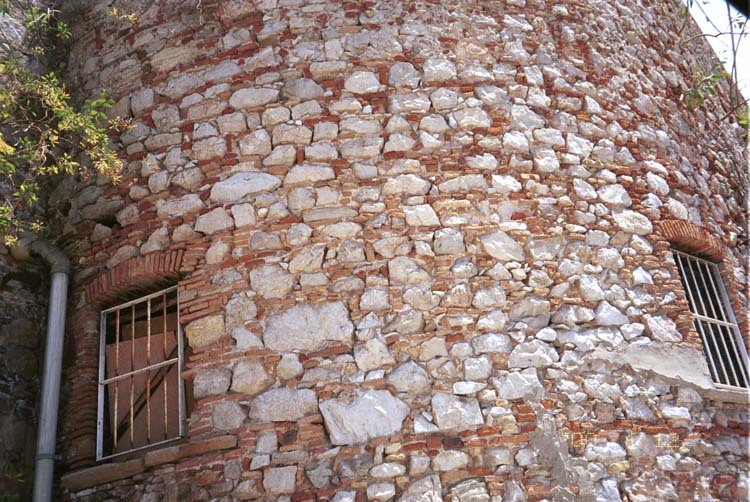 This tower is part stone and part brick - all mixed together! Spanish customs takes from 30 minutes to two hours when leaving Gibraltar. We were in one of four lines at least thirty cars long each. Signs like this inform the waiting visitors of the situation. 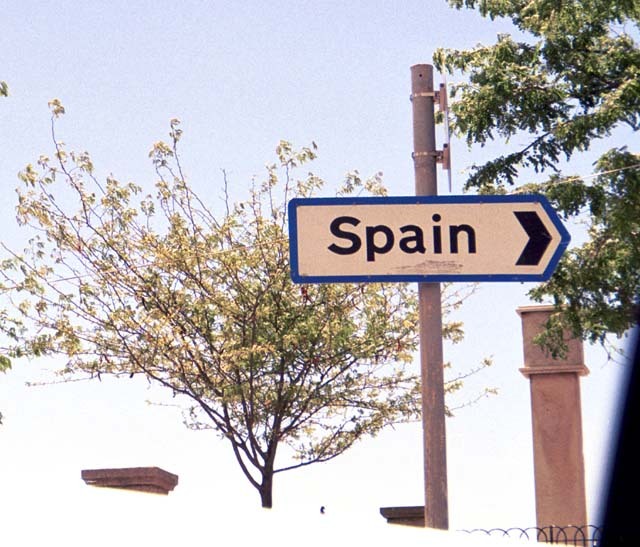 Notice the Spain-with-a-claw at the bottom of the sign. 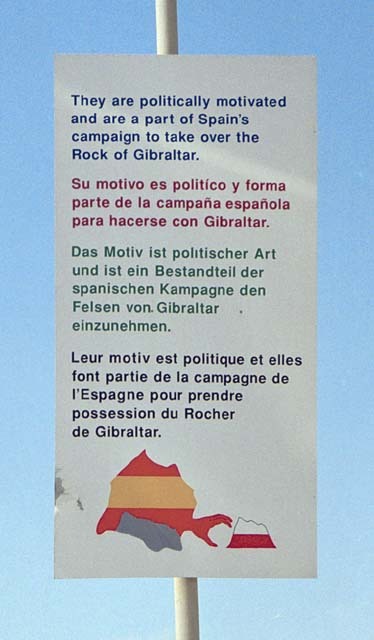 Read about Gibraltar's view at Gibraltar History & Politics - EU Rules.